 ZubrSoft introduces you to the best methods of business analysis in planning and developing a software solution for bridging the gap between the needs of the business and the development team. Getting real business results from the data is what business leaders want today. Digital infringement creates the opportunity for each company to change its traditional business to a data-driven enterprise. This possibility is connected with the problems of managing the volume, diversity, reliability and speed of information. Our clients achieve tangible results in the business from services that change the data structure using modern architectures and approaches. ZubrSoft uses speed and scalability with proven applications and cloud services. The confidence of our customers is related to the latest security and testing services, which ensure cost efficiency through automation. Analytics in ZubrSoft is built into the digital portfolio of clients, accelerates the implementation of IoT, responds to the full life cycle of managing large data and includes the latest technologies for client differentiation with AI and cognitive calculations. Companies cooperate with ZubrSoft to achieve business results that bring value every day. Capturing the right requirements at the very beginning of the project creates a solid foundation for its future success and good reputation among IT world companies. Develop the most effective user's flow templates to ensure that targeted actions are easily performed by every kind of users. It is a very good practice and we follow the best standards! Assess the potential of the future web and mobile applications to meet business and requirements. We do not stop in the study of the most trendy niches in business and work at our best service. How effective are your business processes? Do you have time to review and improve them? Is there an order in the daily internal operations of your business? Are you using all of your resources at best? Automation of business processes includes a number of methods and actions aimed at systematizing and facilitating processes in companies, eliminating waste and bottlenecks (among other procedures) to make them more efficient, and collecting information so that these processes can be optimized and managers can make more decisive decisions. There are a number of methodologies and strategies for automating business processes, such as paradigm shifts, reorganization, process improvement and continuous improvement. In all their task is to define a new way of executing processes in the company, to coordinate their implementation with both strategic goals and with the goals of the organization, as well as increase the value of the end customer, ensuring full service of their needs. ZubrSoft takes a fresh look at business operations optimization by learning from the best known experiences, technologies, applied intelligence and data in order to develop a new touch to improving business efficiency. In the age of consumerism, digital and information malfunction, customers learn their business models and operating models to find a solution that will change the step in performance. Excellent decision making, business results and customer experience are achieved by customers who are ready to invent business processes through "smart operations" that use talent, data and information to provide the right information where and when it is needed. Massive amounts of data can be operational and game changers, but only if organizations create value using analytics to understand the past, predict the future, align the results with the business strategy, and determine the results. By providing a comprehensive deep immersion in customer experience to pop up fraudulent transactions to optimize supply chain operations, our information management solutions drive growth through analytical farsightedness that can stimulate action and decision making based on facts.